Get ready to impress your audience with these tools! While Microsoft's PowerPoint is still the go-to technology for a lot of presenters, there are open source options out there that are worth a second look, too. Some of them are geared toward specific audiences and some of them are more general purpose, but they're all free of cost and free of restrictions. Calligra Stage is part of the Calligra suite (just like PowerPoint is part of Microsoft Office), and because this project is relatively new, it might feel like there's a lot missing. That said, it does already have some appealing features. 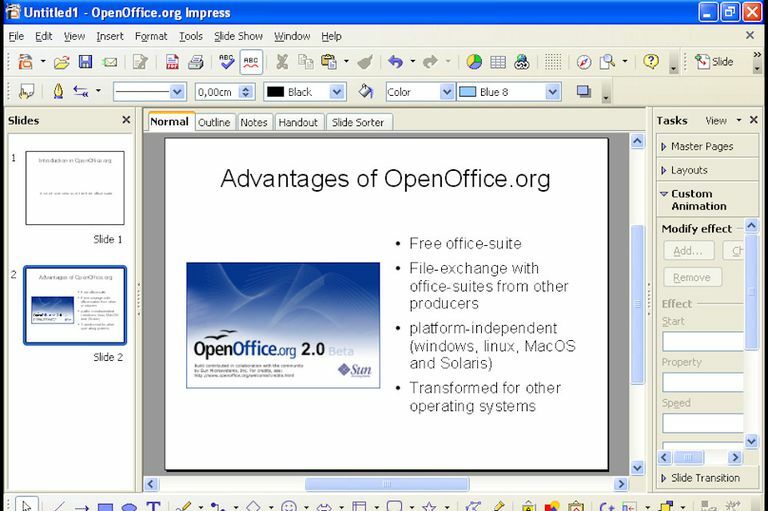 The software is fairly flexible (you can add text, charts, and images), there's a plugin system that lets you expand Stage's functionality, it uses the OpenDocument file format (letting you open your files in programs like OpenOffice and Microsoft Office), and, according to its Introduction page, it has "a special slide overview view during presentations for the presenter, support for many different master sliders in one presentation, cool transitions and a useful notes feature." Calligra is available as source code or as installation packages for Linux, FreeBSD, various other Linux based systems, and OS X from the official Get Calligra page. Impress -- part of Apache OpenOffice -- is a fairly fleshed out tool to have in your toolbox. According to its main webpage, some of the highlights include master pages, multiple views (drawing, outline, slide, note, and handout), support for multiple monitors, support for several special effects (slideshow animations along with 2D and 3D images and text), and use of the OpenDocument format (just like Calligra Stage). Released under an Apache license, Impress runs on Linux, Microsoft Office, and OS X. You can download the source code or installation packages from its Downloads page. And, finally, we have reveal.js ... which brings something completely new to the table. Because presentations are based in HTML -- the lingua franca of the web -- the finished products have very modern looks, transitions, and navigation, all of which can go a long way toward impressing audiences that are tired of seeing the same old clipart-based PowerPoint presentations year after year. With reveal.js, you can nest slides through multiple navigation directions, pick from seven different transition styles (cube, page, concave, zoom, linear, fade, and none) and eight themes (default, sky, beige, simple, serif, night, moon, and solarized), and, since it's all created in HTML, you can easily control background colors, create custom events, and format quotes. reveal.js is available under an open source license, and you can download the source code from the project's GitHub page.